With the airbrush you can add beautiful details to your creations. 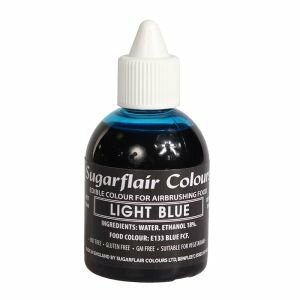 This edible colouring liquid from Sugarflair is specially developed for use with an airbrush (airbrush not included).This product is nut free, gluten free, GM free and suitable for vegetarians. Content: 60 ml.